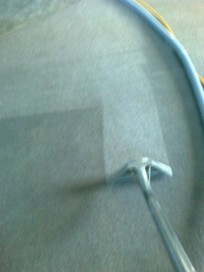 Profession­al owner operated carpet cleaning business with 18 years experience­. $20 per room, Carpet cleaning, upholstery cleaning, rugs & mats, vehicle interiors, mattress cleaning, stain removal, odour control. Auckland- from Kumeu to Mt Wellington, west Auckland, Mt albert, roskill, north shore, central Auckland,henderson,,glen eden & all suburbs inbetween. Premier Carpet Cleaning is a professional owner operated business EST1996 offering good honest sevices, we wont try and sell you unnecessary and costly extras and ad-ons as some of the larger companies will. We use modern and well maintained equipment to steam clean your carpets and upholstery fabrics. Prices are $20 per average room ( approx. 3.5 x 4mtrs ) and include gst, deodorising and stain removal. WE DONT CHARGE EXTRA FOR STAINS. Contact us if your not sure if we service your area. Phone rather than email for a quick reply. definately would recommend. great job on the couch. This guy is fantastic, have used his service in 3 separate houses for different stains, very honest and if he can, he will, or he will let you know if it's not going to come out, very reasonably priced too.